​The Salt River Project (SRP) Election is on April 3rd! If you have received your ballot and have not yet voted, you will need to go to 1500 N. Mill Street in Tempe to cast your vote (on Tuesday). 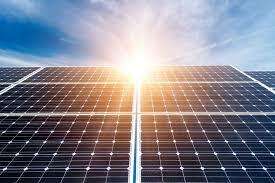 This vote is very important as we want SRP to pursue more pro solar energy policies and rates. The Renewable Energy team is excited to have an intern working for the priority! Lindsey Corsack is an ASU business sustainability student, is interested in solar energy projects and has creative graphic design skills! You can meet the Lindsey at our next meeting, the time is still to be determined but will be the week of April 10th through the 15th. We will be discussing a project for the Tempe Innovation Fund as well as getting a project going for the Clean Energy for a Healthy Arizona initiative.